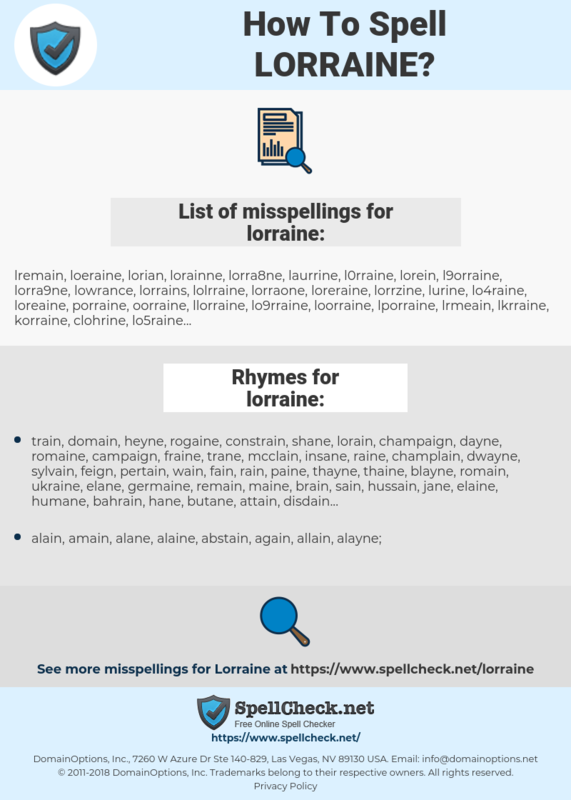 What are the misspellings for lorraine? What are the common mistypes for lorraine? What are the usage examples for lorraine? What are the rhymes for lorraine? What are the translations for lorraine? 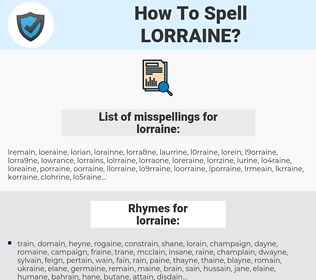 What are the common typos for lorraine? Lorraine as a girl's name is pronounced lor-AYN. It is of French origin, and the meaning of Lorraine is "from Lorraine". Name of the province in France (where Joan of Arc came from) and a family name of French royalty. Also an elaboration of Lora, or possibly derived from Laura (Latin) "laurel". See also Lorena. Actress Laraine Newman. This graph shows how "lorraine" have occurred between 1800 and 2008 in a corpus of English books.